Paneer Kurma is a delicious kurma made with paneer cubes in a creamy coconut gravy. 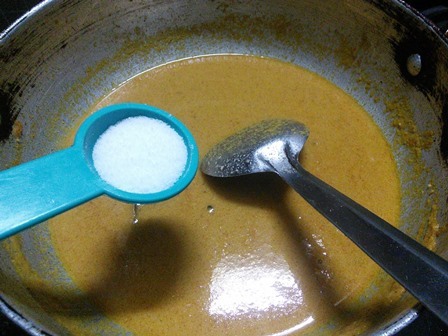 This Kurma is very easier to prepare for your dinner. 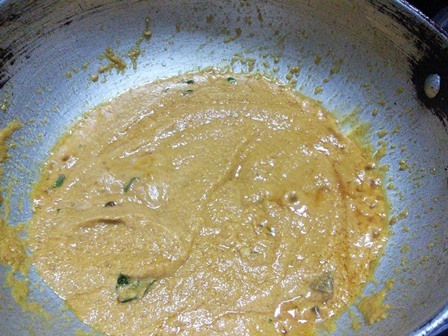 After preparing this Kurma, it will be your family's favourite. Most of us are familiar with paneer. They are an easy to cook ingredient in gravies so there is no pressure cooking or soaking work for this kurma. 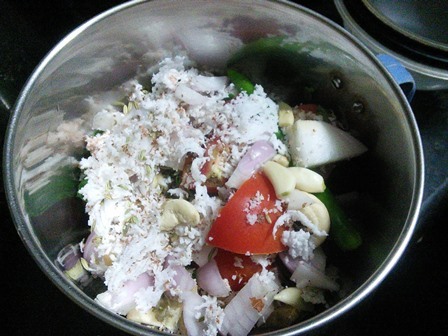 Unlike most kurmas, some grinding work is required for this kurma with classic spices, tomatoes, onions and coconut. 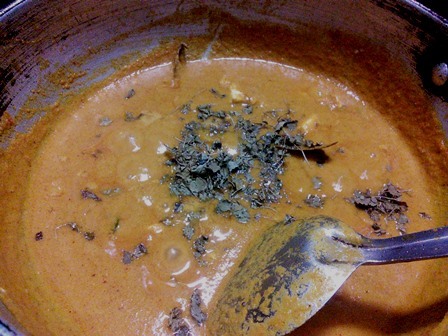 In this kurma I have sprinkled few kasuri methi leaves to enhance the flavour. This kurma will pair well with chapathi, dosa, parotta and jeera rice. The paneer cubes combined with the coconut gravy gives a tasty side dish for your dinner. Instead of ordering gravies from outside, you can quickly prepare this delicious kurma within 20 minutes. If you are planning to prepare for a get together or dinner party, you can easily double this recipe. 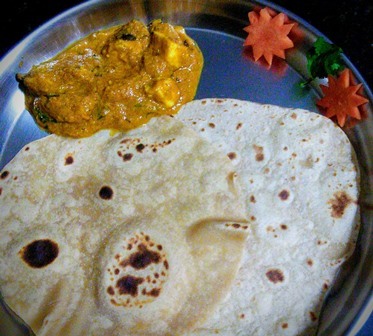 Now let's see how to prepare this Paneer Kurma with step by step instructions. 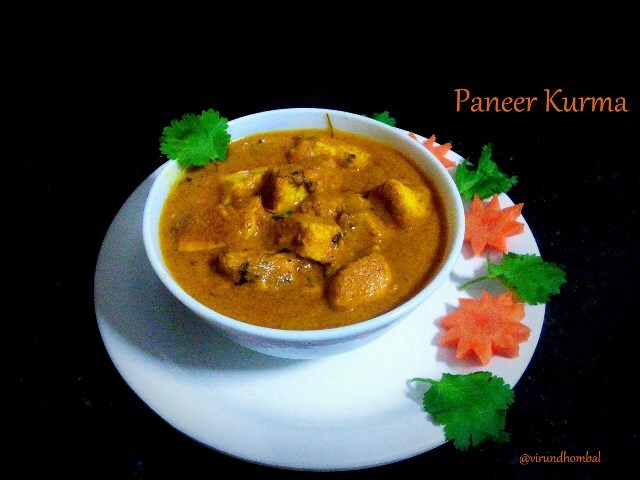 Paneer Kurma is a delicious kurma made with paneer cubes in a creamy coconut gravy. This kurma will pair well with chapathi, dosa, parotta and jeera rice. Cut the tomatoes and onions. Peel the garlic cloves and ginger. Keep all the ingredients ready for grinding the masala paste. Take a mixer jar and add all the ingredients and grind it nicely. Keep the paneer in room temperature for 20 minutes and cut them into your desired shape. 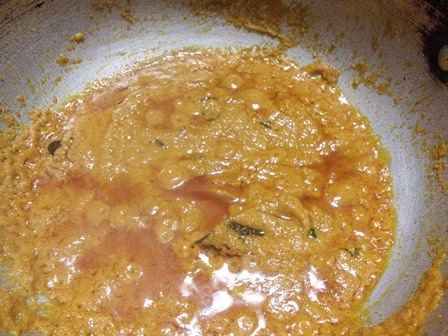 Heat 3 tbsp oil in a kadai or pan for about 2 minutes. Add the bay leaf and curry leaves. 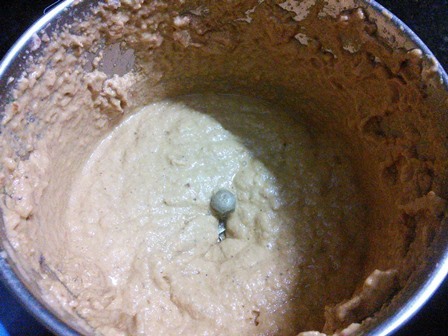 After a few seconds, add in the ground paste. Stir the paste for 3 to 5 minutes. Reduce the heat and close it with the lid. Simmer for 10 minutes. After 10 to 12 minutes you may see the oil separates on the top of the gravy. Now pour 1.5 cups water. Mix them well and add the required salt. Next, add the chilly powder and turmeric powder. Allow the gravy to boil well for 5 minutes. Slowly add the paneer cubes and the garam masala powder. Mix them gently and add 1/4 tsp sugar. Add the kasuri methi leaves and boil for about 2 minutes. Turn off the heat and add the finely chopped coriander leaves. Stir and close it with the lid for 10 minutes. Cut the tomatoes and onions. Peel the garlic cloves and ginger. 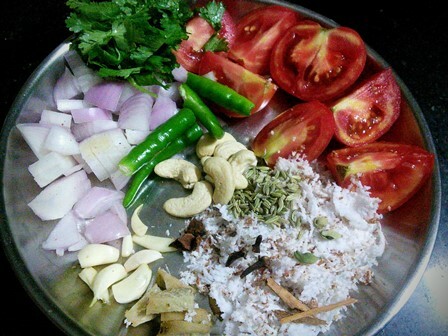 Keep all the ingredients ready for grinding the masala paste. Take a mixer jar and add all the ingredients and grind it nicely. If necessary you can add little water while grinding. 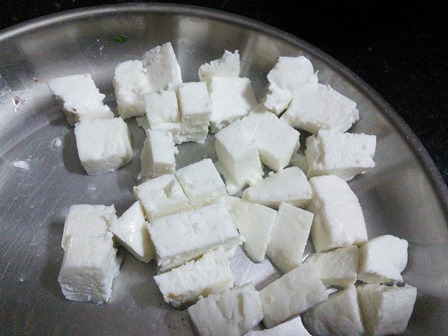 Keep the paneer in room temperature for 20 minutes and cut them into your desired shape. Heat 3 tbsp oil in a kadai or pan for about 2 minutes. Add the bay leaf and curry leaves. Now pour 1.5 cups water. Mix them well and add the required salt. 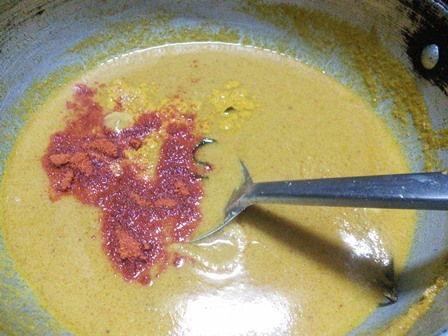 Next, add the chilly powder and turmeric powder. Allow the gravy to boil well for 5 minutes. 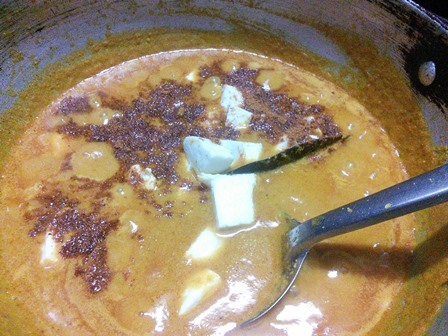 Slowly add the paneer cubes and the garam masala powder. Mix them gently and add 1/4 tsp sugar. 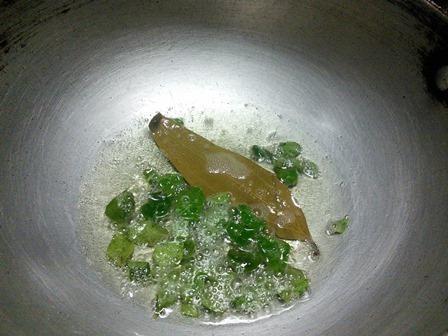 Add the kasuri methi leaves and boil for about 2 minutes. Serve warm with chapathi, dosa or parotta. 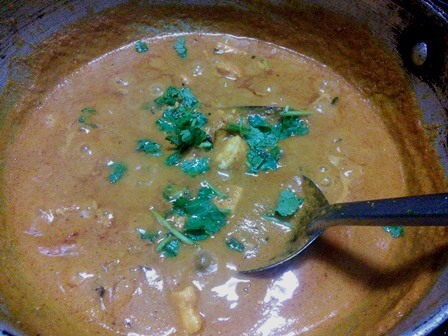 Quick and yummy Paneer Kurma is ready. Enjoy this kurma with your family. If you try this recipe for Paneer Kurma send us your comments below and share the recipe for your friends and family.